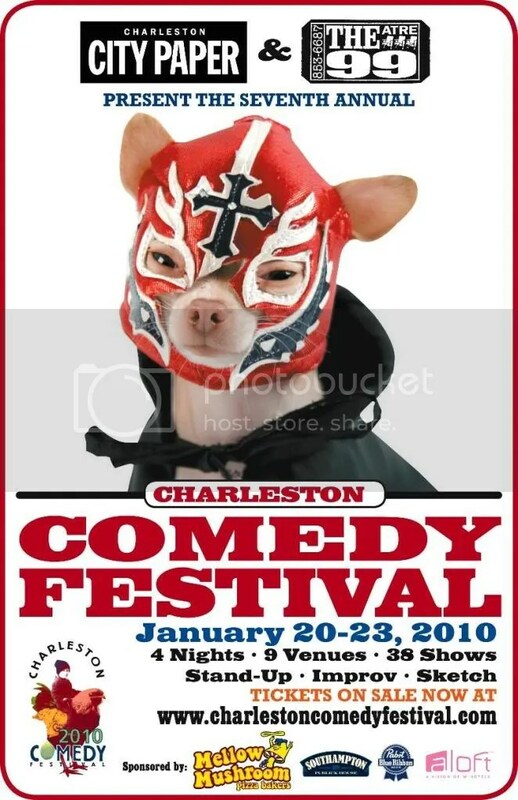 Buy any advanced ticket to any Charleston Comedy Festival show and when you come to the venue, say “I pledge allegiance to Theatre 99” and you get a pass to any Wednesday or Friday Theatre 99 show. You get a free pass for EVERY ticket you buy. This offer is only good for advanced ticket sales and the passes can not be used for shows during the Charleston Comedy Festival. This entry was posted on January 12, 2010 at 5:33 pm and is filed under Uncategorized with tags 103 Gallery, alof, Center Point Bar & Grill, Charleston Ballet Theatre, Charleston City Paper, charleston clubs, charleston comedy, Charleston Comedy Festival, charleston events, Charleston Pour House, Eye Level Art, mellow mushroom, Myq Kaplan, pBR, southampton, Ted Alexandro, The American Theater, The Music Farm, Theatre 99, Tig Notaro, Trio Club. You can follow any responses to this entry through the RSS 2.0 feed. You can leave a response, or trackback from your own site.